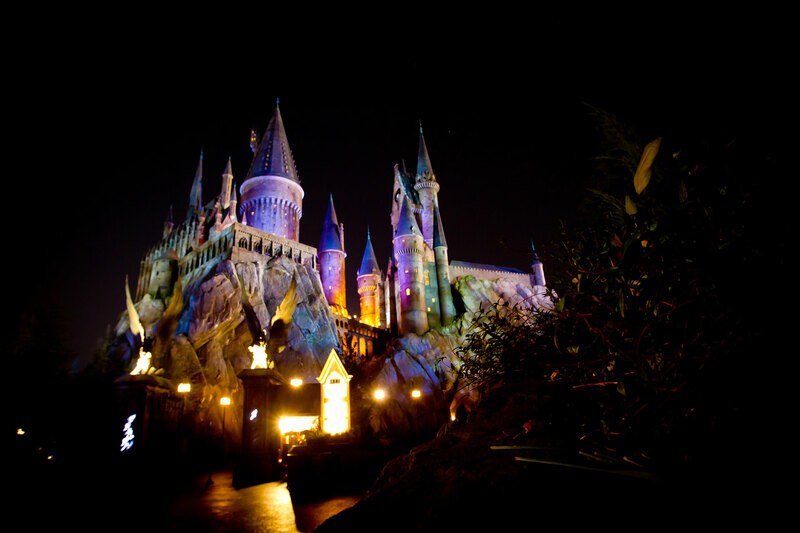 Planning a trip to Universal Orlando Resort is exciting, but daunting, even for the savviest of travelers. This guide will streamline the process by answering a first-time visitor’s most common questions about accommodations, ticket options, timing and more. What’s the Difference Between Each Park? 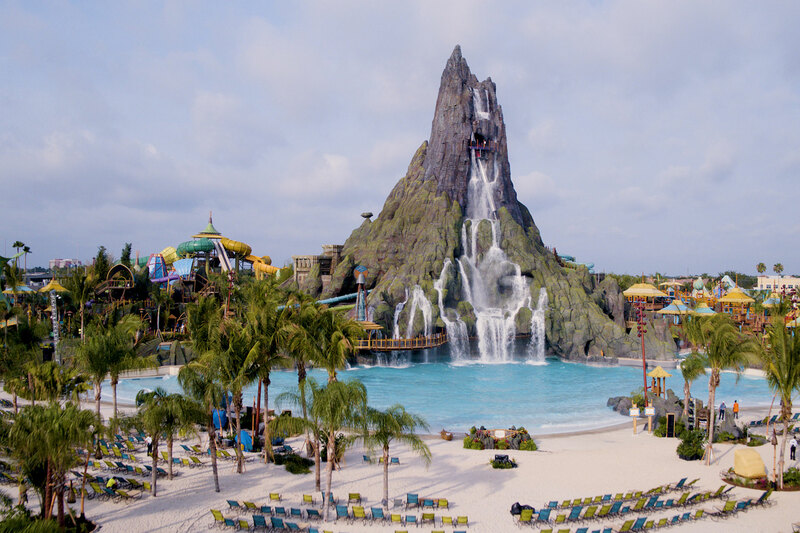 Universal Orlando Resort is comprised of three theme parks — Universal Studios Florida, Islands of Adventure and Volcano Bay water park. Another component of the resort is CityWalk, an expansive entertainment, shopping and dining promenade. Movies and television come to life at this action-packed theme park. Universal Studios Orlando features seven distinct areas, and each one feels like a film set with rich detailing. Diagon Alley, part of the Wizarding World of Harry Potter, is the most popular area here — obviously. Islands of Adventure caters to the young bunch with attractions featuring favorite super heroes and cartoon characters. Little ones will especially love Seussland, while Potter fans will delight in the snowcapped village of Hogsmeade. Make no mistake, though — Islands of Adventure still caters to teens and tweens with iconic thrill rides. The Incredible Hulk Coaster and Doctor Doom’s Fearfall are at the top of the list. When Should We Go to Universal Orlando? School vacation times dictate the crowd levels at Universal Orlando Resort. The resort’s location in Florida means many looking to escape the cold will flock to the parks during the winter and early spring, with mid-February through April seeing higher crowds and pricing. The summer months see similar crowd levels and rates, with the addition of heat and humidity. Visit September through January for the fewest crowds and best prices. Where Should We Stay at Universal Orlando? Several Orlando hotels are considered Universal Partner Hotels and many of these are located just a mile from the parks. Some of these offer complimentary shuttle service to the parks, but will probably not get you to the parks as early as you’d like. Booking a stay at a Universal Partner Hotel directly through Universal as part of a package that includes park tickets entitles you to enter the Wizarding World of Harry Potter an hour early on select days. However, the complimentary transportation to the parks will not begin running early enough to allow you to take advantage of that benefit, requiring you to drive to the parks or take an Uber or taxi. Also, booking a package via Universal may not always be the most cost-effective option, and staying at an offsite hotel may not actually save you money in the end. Without question, the biggest perk of staying at one of the onsite hotels is early entry to the Wizarding World of Harry Potter, which allows guests to enter Diagon Alley and Hogsmeade Village an hour earlier than the general public. 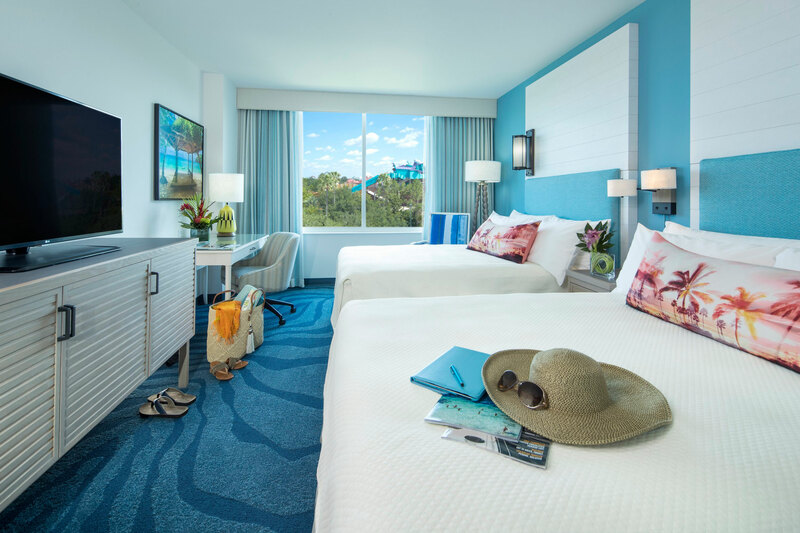 For guests of Universal Resort’s Deluxe Hotels, Universal Express Unlimited Passes are included in the price of the stay; guests of Universal’s Cabana Bay Beach Resort and Loews Sapphire Falls Resort do not receive this benefit. If you are considering a stay at an offsite hotel at a similar price point, this perk alone can make it worthwhile to opt for one of these hotels instead. The proximity of the onsite hotels to CityWalk and the theme parks is another benefit of choosing to stay at one of these properties. All five hotels provide easy access to the CityWalk promenade. What’s the Best Way to Get Around Universal Orlando? Everything at Universal Orlando Resort feels centrally located, and getting from the parks to the hotels and everywhere in between is a breeze. From the entry point of CityWalk, both theme parks are only about a 5- to 10-minute walk. A water taxi transports guests from the Deluxe Hotels and Loews Sapphire Falls Resort to a dock in CityWalk. 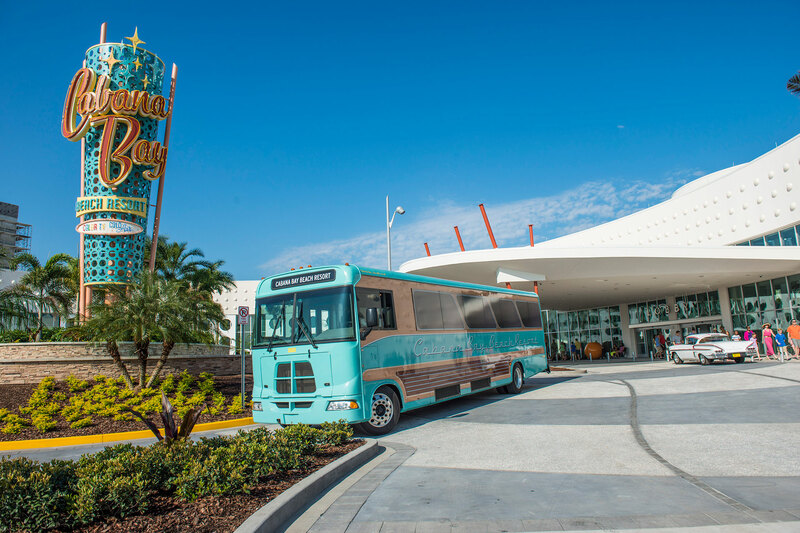 Cabana Bay provides its own shuttle bus to CityWalk’s main entrance. Shuttles are also available to transport guests between the Universal Orlando Resort hotels. How Much Time Do We Need at Universal Orlando? The answer to this question largely depends on how much you want to see during your visit. Ideally, three-day park-to-park tickets will allow you to experience most of what the parks have to offer while leaving room for much needed down-time to relax by the pool or enjoy a leisurely meal. Of course, you can also visit the parks in one day — just know that you’ll need a play-by-play strategy, particularly for the Wizarding World of Harry Potter. See 24 Hours in the Wizarding World of Harry Potter for our best tactics. If you are staying in an onsite hotel and have the privilege of early entry, start your day in the Wizarding World of Harry Potter — either Hogsmeade Village or Diagon Alley. After riding the Forbidden Journey (in Islands of Adventure) and/or Escape from Gringotts (Universal Studios), head to the parks’ other headlining attractions — substantial waits tend to build early and quickly at Despicable Me: Minion Mayhem, Transformers the Ride: 3D, Revenge of the Mummy, and Hollywood Rip Ride Rockit in Universal Studios Florida, and at the Amazing Adventures of Spiderman, the Incredible Hulk Coaster, and the Toon Lagoon water rides (Dudley Do-Right’s Ripsaw Falls and Popeye and Bluto’s Bilge Rat Barges in Islands of Adventure. 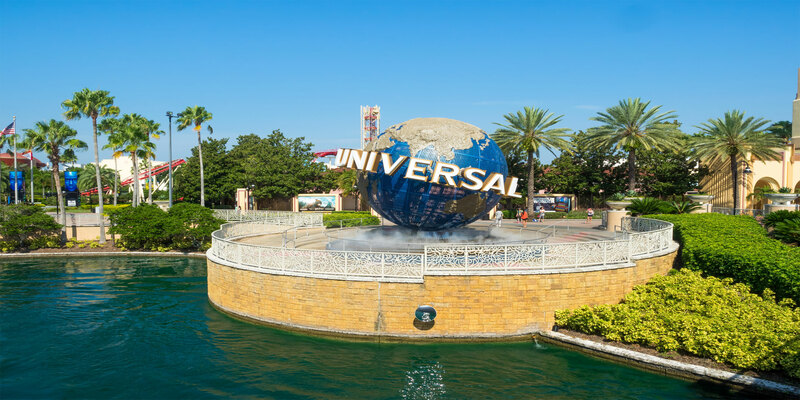 Which Ticket Options Are Best at Universal Orlando? Multi-Day: These tickets allow guests entry into one park, two parks, or all three parks over the course of four days (or less), depending on your preference. Single-Park: These tickets allow guests entry into one park or all three parks for one day; they can be upgraded at any time. Volcano Bay: This ticket provides one-day access to the water park. The price difference for a park-to-park ticket over a single-park ticket is about $50 regardless of how many days of tickets you have. It is highly recommended that you purchase your park tickets in advance. Doing so through Universal’s website offers you a savings over the gate price, as well as time savings. Tickets purchased online can be printed at kiosks located at all of the Universal Orlando resorts and theme parks. Note: A ride aboard the Hogwarts Express requires that guests purchase park-to-park tickets. Multi-day park-to-park tickets are available, too. Is Universal Express Pass Worth It? Unlike lines at Disney World, front-of-the-line access at Universal is a perk that typically comes at a price. There are two types of passes available — the Universal Express Pass, which entitles guests one express queue entry per participating attraction, and the Universal Express Pass Unlimited, which entitles guests unlimited access to the Express queues at participating attractions. Guests staying at Universal’s Deluxe Hotels receive Unlimited Passes as an added benefit. Guests at Universal’s Cabana Bay Beach Resort, Loews Sapphire Falls Resort other area hotels may purchase the passes a la carte. If you are staying at either of the park’s Moderate hotels, have access to early park entry and are willing to arrive at the park’s turnstiles prior to park opening, you will stay ahead of the masses and the Express Pass will only be of minimal benefit, even during peak periods. If you are staying at an offsite hotel or would prefer to sleep later in the mornings, Express Passes will reduce your wait times significantly. 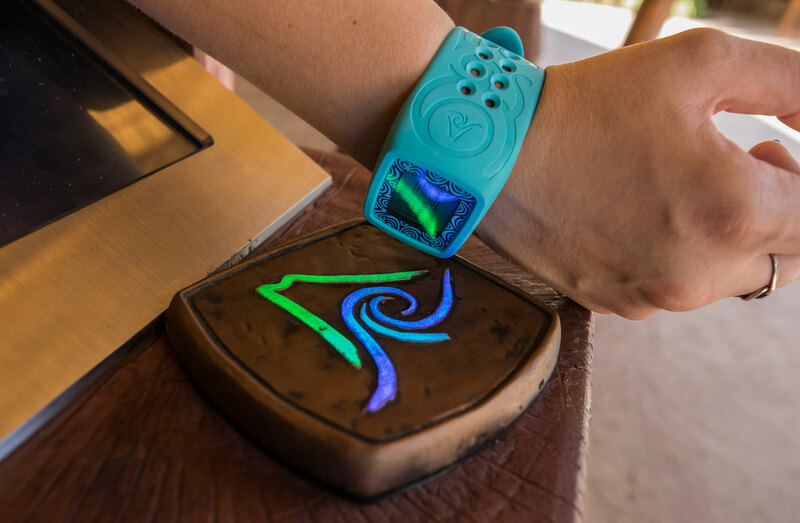 Volcano Bay offers Tapu Tapu bands that automatically help families avoid waits with technology that notifies them how long lines are so they can plan their next move accordingly. Anyone with tickets to the water park receives a Tapu Tapu (to be returned upon departure). To save time, plan on eating breakfast in your room before heading to the parks. If this is too early for your stomachs, plan a breakfast break after your first attraction. To lighten your load, strollers can be rented in both parks immediately after you pass through the turnstiles. Family Services areas are centrally located and provide everything caregivers need for diaper changing and bottle warming. Rocking chairs are available for nursing moms or for resting quietly with a tired toddler. If you’re traveling with young children who don’t meet the height requirement for an attraction, or someone in your party isn’t interested in coming along for the ride, Universal’s Rider Swap program is for you. Rider Swap allows the whole family to go through the attraction’s queue together. At the loading area, one parent takes the non-riding kids to a special waiting area while the other parent boards the attraction with the other kids. After the ride, the family is reunited and the other adult may ride without having to wait in line. Any member of the family may ride again so the second adult doesn’t have to ride alone. Be sure to download the resort’s official app, which is free. The app provides wait times, which are very accurate, lists of attractions with detailed descriptions, park maps, dining and hotel information and show times. The parks allow the following items: bottled water; small snacks; any food required for medical purposes and medically-indicated nutritional supplements; any food for special dietary needs; baby food/baby formula; and soft-sided insulated bags no larger than 8.5 inches wide, 6 inches high and 6 inches deep. Full picnic lunches and food that requires heating or refrigeration are not permitted.